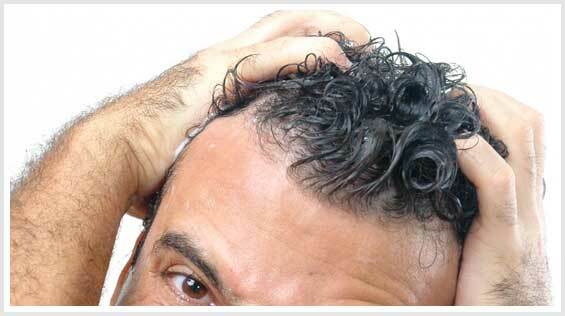 SEGRAVE HAS PRODUCED A THOROUGH AND IN-DEPTH TREATMENT OF ALL ASPECTS OF MALE PATTERN BALDNESS. Ever feel like doing something really nasty to someone who makes a crack about your shining pate? According to Kerry Segrave, author of Baldness: A Social History (1996, McFarland), you’re not alone. In the opening paragraph of the first chapter, Segrave relates the Old Testament story of the prophet Elisha, whose “overreaction” to taunting by a group of little children was to curse them in the name of the Lord, after which a she-bear came out of the woods and destroyed 42 of the little tykes. Segrave also informs us that Elisha then went out and applied bear grease to his head, a supposed cure for baldness that remained popular all the way into the 16th century. Since there’s no more mention of him being mocked, Elisha surmises that the cure must have worked, although it could also be argued that maybe potential taunters just decided they could control their tongues rather than risk disembowelment by bear. Because it was written 14 years ago, Segrave’s book is not always au courant on all matters, but it’s an entertaining and informative read. 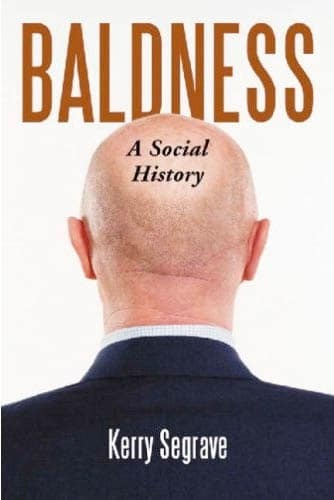 The subject is strictly male pattern baldness, and in 170 pages (plus 23 pages of notes and a 14-page bibliography), Segrave delves into baldness in ancient times; baldness in current times; causes of and cures for baldness; head coverings; hair loss among celebrities and politicians; attitudes about baldness and, in one chapter all to itself, Rogaine. That’s a lot of ground to cover, but Segrave does it well. That said, much of the book, while entertaining, does tend to come across somewhat like a list, albeit a detailed one. For example, in the chapter on celebrities and politicians, too much space is taken up telling us that certain actors or officials were bald and proud of it, or bald and ashamed of it, and not enough space is devoted to giving us a greater variety of information about each individual. Some proponents of “interesting” theories were quite well known. Charles Dickens, for example, argued that thicker, longer beards resulted in baldness, basically because there was only so much hair to go around on the head and growing it on the chin deprived it from growing on the skull. Arguably the most entertaining theory pertaining to the cause of baldness comes from Dr. Delos Parker, who in 1901 announced that hairlessness was a result of breathing. Not just any breathing, mind you, but abdominal breathing, in which the diaphragm was used to a great extent. His reasoning seems to have been that women, because of their tight corsets, didn’t use their diaphragms as much and therefore retained their hair. 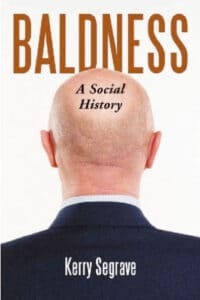 The most depressing chapter in this social history is that titled “Bald Attitude,” which is largely devoted to the negative connotations that are largely applied to baldness by both those who experience it personally on their own crowns and those who judgmentally comment on the crowns of others. 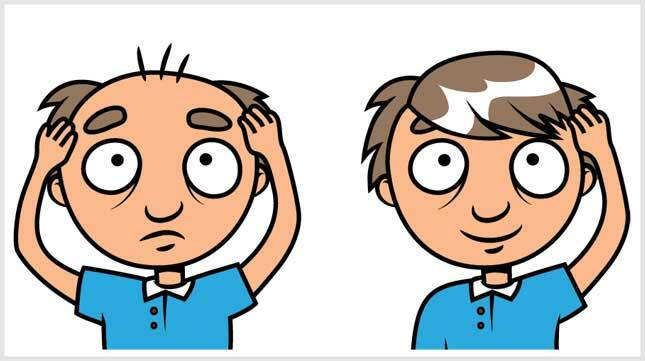 It’s no secret that despite advances society still has a tendency to view baldness in fairly negative terms. Segrave doesn’t concentrate solely on the negative, as he provides examples of men (and women) who have positive attitudes toward and experiences of baldness; but overwhelmingly those with a negative opinion are given far more space. Although the chapter on Rogaine is titled “This Is Not Snake Oil,” Segrave intends that title satirically. By the end of this section, the author lays out numerous examples of the iffy circumstances under which Rogaine produces the desired results and takes joy in stating that the drug has not turned out to be the cash cow it was intended to be, implying that this is because a man who may be missing his hair is not necessarily missing his brain and won’t get taken to the cleaners solely on the off chance that he might grow a little bit of hair.